The central theme of the book of Genesis is man’s unfaithfulness contrasted with God’s faithfulness. The first and most central promise God makes in all of the scriptures is that a Savior would come through a woman’s womb to reverse the curse. Jesus, therefore, is the centerpiece of Genesis, with the Bible even claiming that his death and resurrection was planned before the foundations of the world were formed. But why as a Man? Scripture calls Jesus the last Adam. What does this mean? God saw fit to descend to become one of us, to suffer as we suffer, and to choose purity while we chose impurity. He’s the last Adam because Adam was formed by God himself and had no father other than God, and the same with Jesus. Both were born sinless, because we inherit our sin nature from our father. Adam voluntarily chose sin, cursing all humanity, while Jesus chose holiness yet became sin on the cross to set humanity free. The reason why Christ is foreshadowed in many physical forms, people, and symbols throughout all of history is that the entire purpose of our existence is to worship God. After Adam’s sin in the garden, evil separated us from God, making it impossible for us to worship him. But before God even made us, he knew we would sin, and he planned to take our punishment on himself, thereby freeing us to worship him as we were meant to. So, what that means is that when God called Abraham righteous in the Old Testament, he could only do so because of Jesus. When God forgave Job his questioning, he did so because of Jesus. When God forgave David for sinning with Bathsheba and then murdering her husband, he did so because of Jesus. Though the Bible is divided by myriad covenantal changes (the first being the covenant between Adam and God that Adam broke), God’s personhood is the same from beginning to end. Going back to the story of Cain in Genesis 4, we see God speaking with Cain after he kills his brother. God asks him where his brother is, and Cain says, “I do not know, am I my brother’s keeper?” Get that—Cain lied to God’s face! And what does God do? God shows mercy toward Cain! This is what makes Cain’s story profound: that we see the shadow of Jesus’ planned life, sacrifice, and ascension in the world’s first murder. It’s also the reason why Cain’s story is included in the Bible—to show God’s faithfulness amidst man’s unfaithfulness. Want to explore these themes and theological ideas in a much deeper way? Not afraid of diving into the realm of speculative fiction? 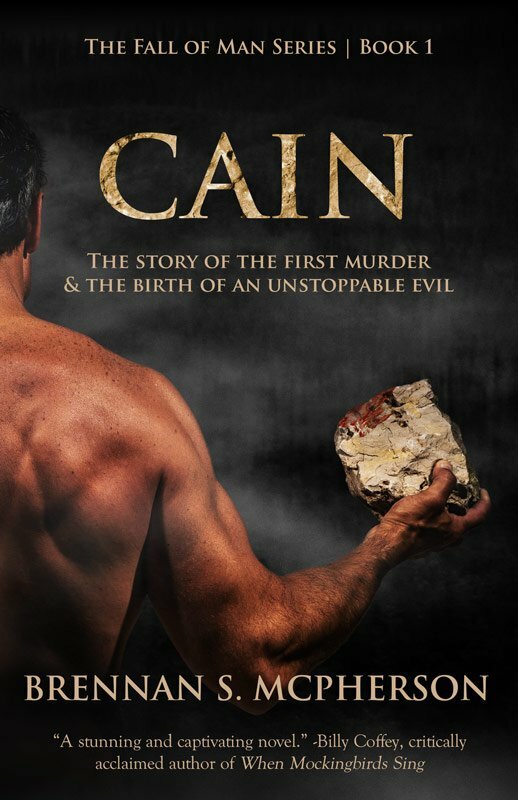 Then click or tap here to explore the full-length, visionary novelization of the story of Cain and Abel!